Unfortunately, trees falling in and around private properties across the Rose City during strong wind storms are not an uncommon occurrence. In fact, hundreds of trees fall every year in Vancouver, WA & Surrounding Areas due to harsh weather area causing havoc, damage, and dangerous environments as a result. If a tree falls on your property as a consequence of a serious wind storm or other unforeseen occurrence, it is your responsibility to have it removed. If the fallen tree is compromising your utilities, call your utility providers immediately. 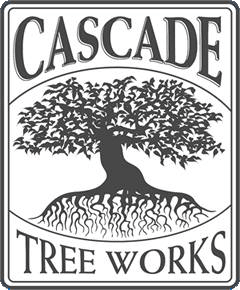 Having a tree fall on your property is shocking and alarming but with Cascade Tree Works you are not alone in this emergency. 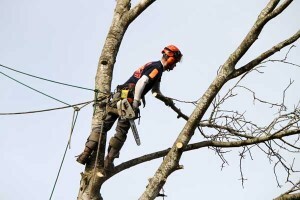 We have the expertise to handle Emergency Tree Removal in the most complicated of circumstances. Emergency Removal services for a fallen tree should be scheduled immediately and conducted by an ISA Certified Arborist. Emergency tree removal should always be performed by seasoned professionals. Fallen trees may not appear to be dangerous, however they pose significant safety risks and should be addressed immediately to eliminate the risk of additional damage or injury. Cascade Tree Works specializes in dangerous tree removal and emergency tree removal services for the Greater Vancouver, WA areas. If a tree falls on your property, give us a call and we will make your emergency tree removal needs our immediate priority. It is our goal to provide competent emergency tree removal services to remove any hazards or safety risks on your property. Cascade Tree Works also offers 24hr emergency tree removal services. We understand that tree service emergencies happen, and we want to be the company you call to make your property safe and secure once again. Our ISA Certified Arborists are experts at assessing the dangers associated with a fallen tree, then creating a tree removal plan that will be quick and effective as possible. We will discuss removal options with you and carry out your wishes. Our trucks and equipment are always ready to go so our crew can mobilize in a hurry when you need us the most. Choosing the wrong company for dangerous tree removal can end up costing you big. Inexperienced tree removal tends to be sloppy and may cause more damage instead of minimizing it. Don’t risk further damage to your property and call Cascade Tree Works for competent 24hr emergency tree removal services. You will be glad you did, guaranteed. 10% OFF for first time service for home owners or business and for Senior Citizens. Our pledge is to establish lasting relationships with our customers by exceeding their expectations and gaining their trust through exceptional performance by every member of our tree service team. We put honesty and integrity first and foremost no matter what.